Listening to the "Voice of the Customer"
Providing Real Solutions - "The One that Works for You"
To obtain a customized project plan of services with a unique quote tailored to meet your needs, or a quote for one of our tailored products, contact us via one of the communication methods below. Need additional information? We are listed in the Central Contractor Registry (CCR) which is now the System for Award Management or SAM. Ask us about our flexible payment options as a part of your customized project plan. LSESS accepts all major credit cards, PayPal or can provide invoicing on a predetermined milestone or progress payment plan schedule that fits your budget aligned with your customized project plan. Naturally, we still accept net 30 purchase orders; traditional check or cash payment options as well. LSESS takes online security as a priority and safeguarding our customer's information is one of our top priorities. 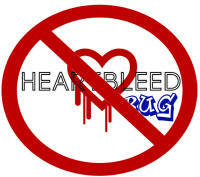 Working with our merchant services provider - Elavon Virtual Merchant - we have installed the necessary security patches to effectively address the Heart-Bleed Bug. LSESS does not store any customer critical information within our systems and we provide a PCI compliant and Private SSL encrypted connection -GeoTrust- between our web site and the Elavon Virtual Merchant payment processing system. Copyright © 2000 - 2010 Logistics & Systems Engineering Support Services (LSESS) All Rights Reserved.